Get ready for the big game (the healthy way) with our Super Sunday Prize Pack Giveaway! 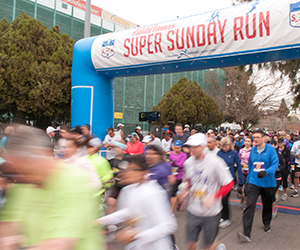 From now until January 13th, enter for your chance to win a free entry to the Super Sunday Run, gift cards to Whole Foods & Sports Authority, plus 1 month free at California Family Fitness. The best part? Select three of your friends to win all of these prizes, too! *If prize winner or their friends are a current California Family Fitness member, his or her account will receive an individual membership credit. Click here for the Official Rules.